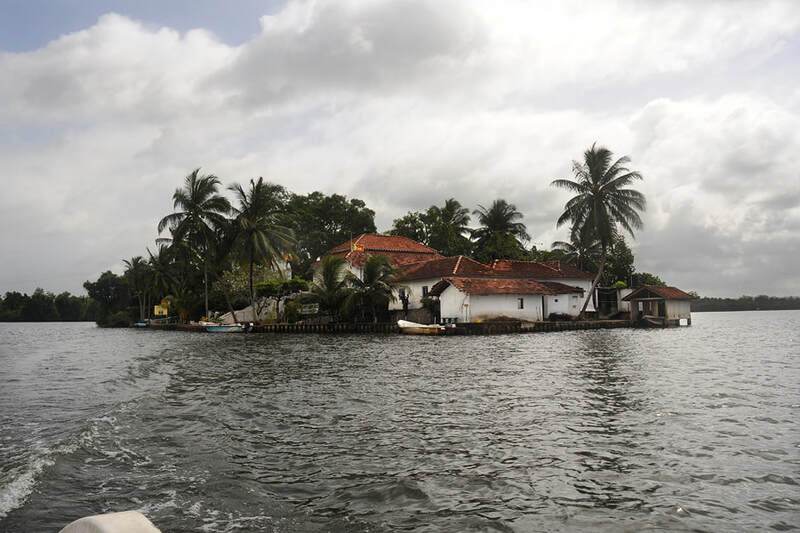 Madu Ganga is situated close to the town of Balapitiya in Sri Lanka’s Galle District. The name, meaning “Madu River”, is also spelt “Maduganga” or “Madhu Ganga”. Halfway between the two popular coastal towns Bentota and Hikkaduwa, the mainroad A2 crosses the river mouth of the Madu Ganga. 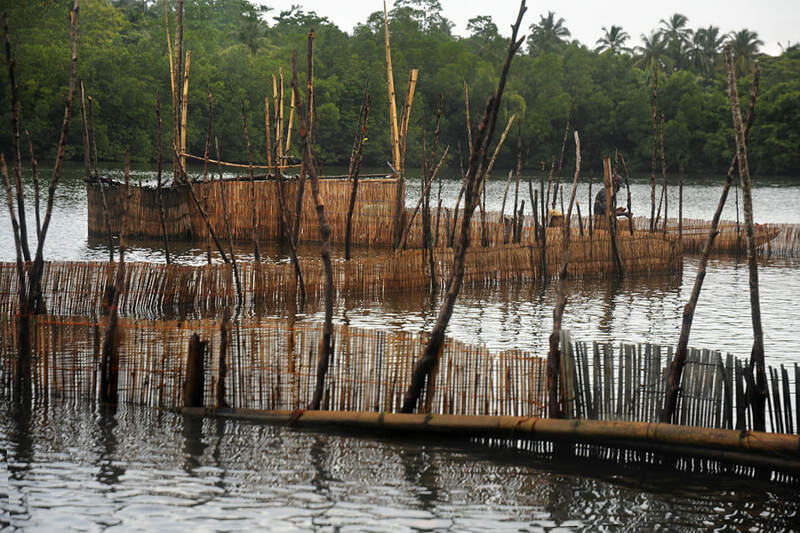 Farther upstream, this Madu River forms complicated network of mangrove swamps and a wide open lake dotted with islets. Both “32 islands” and “64 islands” are promonotional names for Madu Ganga Lake, though there are actually fewer islets. The lake is sometimes called lagoon. But it’s a river lagoon, the water is only slightly brackish, not as saline as seawater lagoons opening to the ocean. Madu Ganga could yet be called a freshwater lake. There are only two genuine seawater lagoons at Sri Lanka’s southwestern coast, namely Kalutara and Bentota. All the other so-called lagoons are linked to the ocean not by wide openings but by flowing narrow rivers. 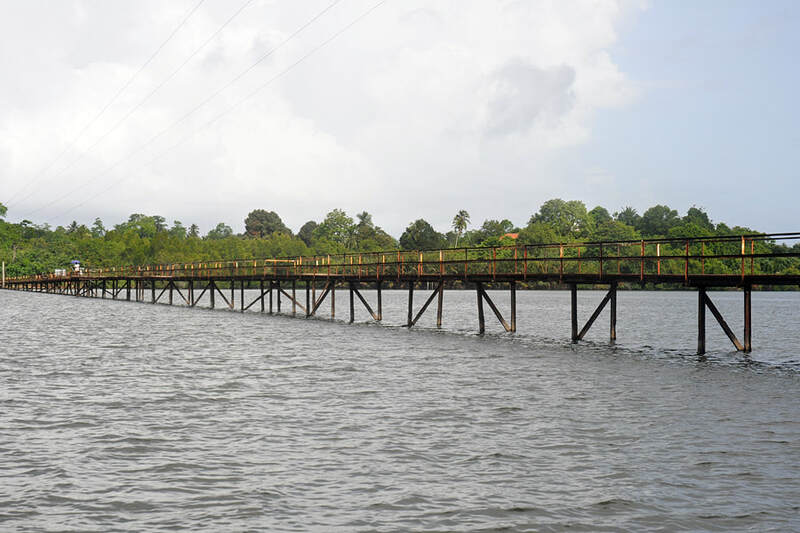 There is virtually a chain of such slightly saline river lagoons between Colombo and Galle, namely Bolgoda Lake in Moratuwa, Owinka Lake, Dedduwa Lake, Madu Ganga, Madampe Lake, Hikaduwa Ganga and Ratgama Lake, Madu Ganga being by far the largest of them. The amphibic landscape of Maduganga is Sri Lanka’s largest remaining mangrove swamp, home to several fish and reptile species. It’s a fantastic birding territory, too. Together with the smaller Randombe Lake, which is situated closer to the ocean, but further south, and linked with Madu River by two natural channels, it forms the Madu Ganga Wetland, inhabited by more than 300 species of plants and almost 250 species of vertebrate animals. Due to its rich biodiversity, Madu Ganga was listed under the International Ramsar Convention on Wetlands, an international treaty for the conservation and sustainable use of wetlands. The Convention on Wetlands is named after the city of Ramsar in Iran, where it was signed in 1971. Due to its location close to many popular beach resorts, Madu Ganga is a perfect destination for single-day excursions. 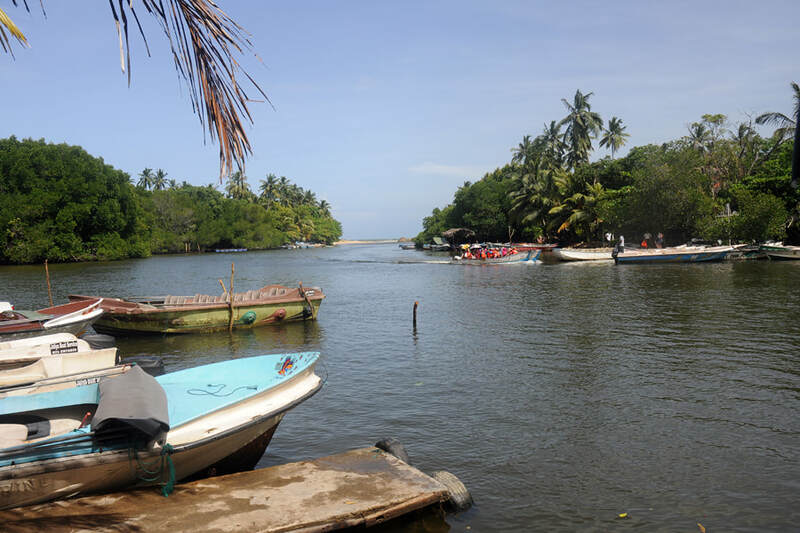 Spending your holidays in the area between Beruwela and Galle, you should indeed not miss to enjoy this scenic boat ride. The Madu Ganga boat safari is an attraction rich in variety indeed. This activity will last for one and a half or two hours, in order to visit two islets and have time enough for a fish massage. The boat rides are on offer by several competing boat operators near the river mouth, located close to the main road. Full boat ride itineraries should include the temple “Kothduwa Rajamaha Viharaya” as the farest point in 5 km distance and also visit Cinnamon Isle on the way and ride through two different stretches of mangrove forests and also come as closely as possible to the ocean. The first part of the boat tour will follow the river bed of Madu Ganga upstream, this is the narrow passage connecting the lake with the ocean. This is area in between Madu Ganga Lake and Randombe Lake and the ocean is the largest mangove swamp of the entire wetland area, though not the only one. The lush green scenery is that of a tropical-river picture book. Madu Ganga draws not only foreign visitors but also plenty of locals, particularly during weekends. Several classy hotels and guesthouses are situated on the banks of the river. Some of them offer ballrooms and wedding facilities. Sri Lankans who can afford it love luxury facilities for their wedding ceremonies. They can enjoy a “fairy tale” wedding in the middle of the Madu river, organized by the hotel. Some riverboats are even decked with natural flowers on such occasions. Thick mangrove vegetation is prevalent along almost all banks of the Madu Ganga Lake and at its islets in particular. 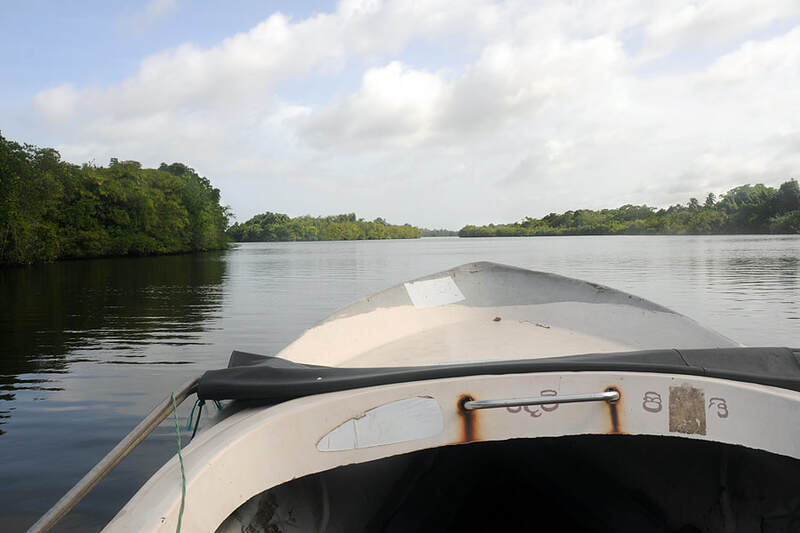 During your boat ride you should at least two times cross a mangrove thicket gliding under the canopy of the forest tunnels. 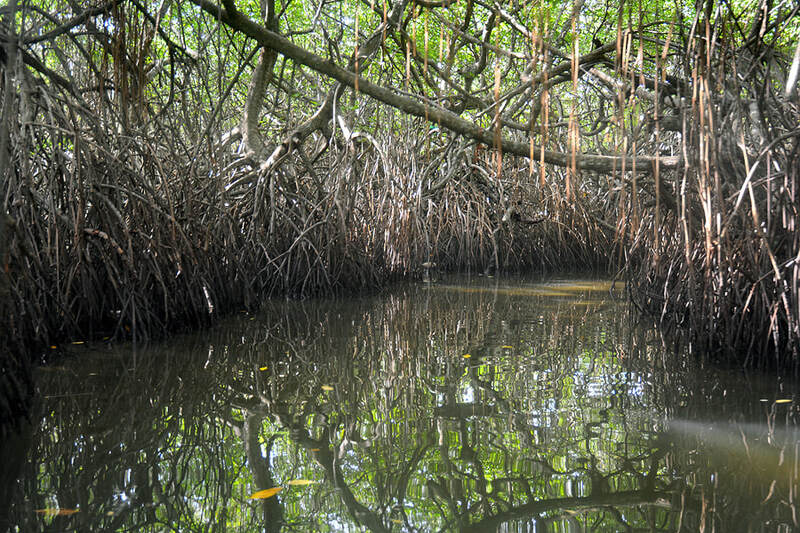 The mangrove forest covers more than 60 hectares. 14 mangrove species are found in this area. One notable feature at Madhu Ganga is a typical mangrove species called “Rathamilla” by Sinhalese people, it’s Lumnitzera littorea, a species of the genus which is known as “black mangrove”. Depites it’s English name, the beautiful flowers are intensively red, the Sinhala name “rathu” refers to the red colour. Due to its mangrove marshes, Madu Ganga is of a high ecological significance, being home to 31 reptile species, namely snakes, lizards, and crocodiles. There are also over 50 species of butterflies and 25 species of molluscs found in the Madu Ganga Wetland. 20 percent of Sri Lanka’s amphibian species occur here, including narrow-mouthed frogs, aquatic frogs and tree frogs. 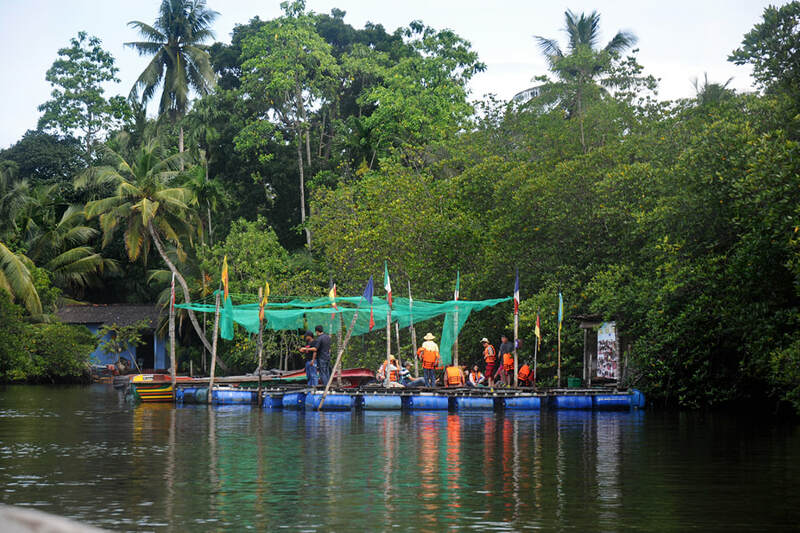 Madu Ganga boat tours provide the opportunity of experiencing a natural fish massage. There is now more than one fish spa located within the Madu Ganga Wetland area. But a local fish farm owner introduced fish spa therapy only recently, after having seen similar facilities in Thailand. It is quite popular in Cambodia and Vietnam, too. Fish spa therapy is a natural foot massage from hundreds of fish. Sitting on a pier, you only have to plunge your feet into the water. Fish soon nibble away the callused epidermis, only the dead scarf-skin of your feet. Visitors arriving by boat pay a small fee for this experience. You should keep your feet in the fish spa for at least 10 minutes. There are different kinds of doctor fish available there to choose from. Generally, there are two species of fish used in fish spas. The genuine doctor fish is Garra Rufa from the Middle East. They have been integrated into medical treatments because they feed on the skin of patients with psoriasis, alleviating the symptoms of this chonic disease. Another species used in fish spa therapy is Mozambique Tilapia. The difference is that the latter have teeth. Nevertheless, Tilapia treatment isn’t painful, either. What is unique to Madu Ganga fish spas is that the fish are held in their natural environment. The fish massage does not take place in closed bassins like in Thailand but in artificial cage ponds in the river. The wholesome effects of fish spa therapy are disputed. In several states of the USA, fish spa therapy is prohibited, because the practice is said to be unsanitary. The reason is, that according to cosmetology regulations, medical tools must be sanitized or otherwise discarded after use. However, fish spa therapy is permitted in many Western counties such as Canada and the United Kingdom. 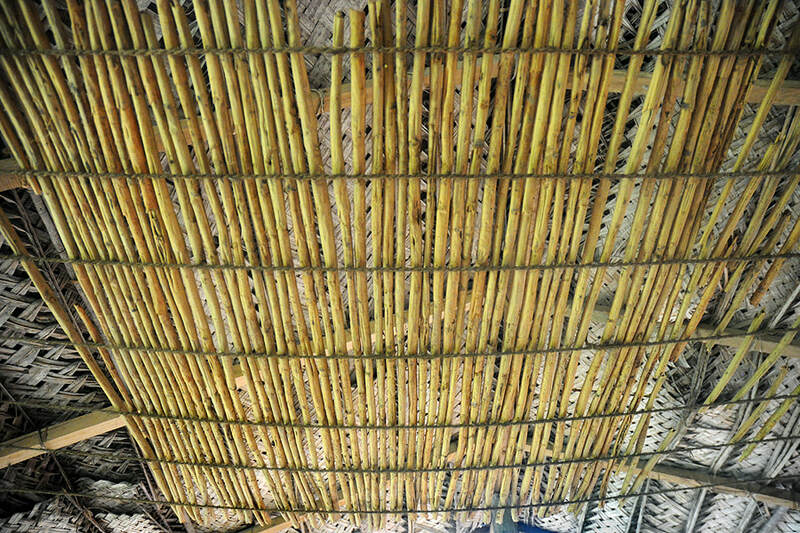 One cultural main attraction of Madhu Ganga is Kurundu Doowa, also spelt Kurundu Duwa. This translates to “Cinnamon Islet” or “Cinnamon Isle”. It’s also called “Cinnamon Island”, although this latter term is misleading. In the colonial period, “Cinnamon Island” was a name for the entire island of Ceylon. 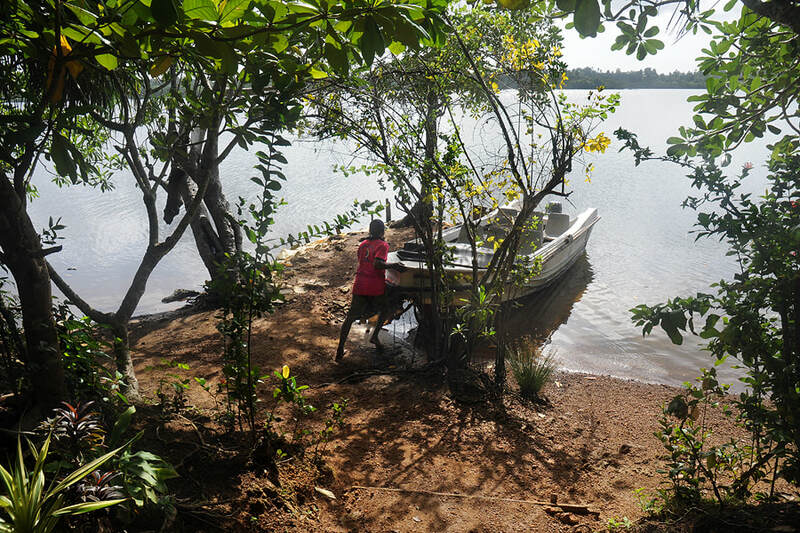 The islet is inhabited by the family of the cinnamon grower G. H. Premadasa, who is kind enough to explain to visitors how to peel cinnamon for the production of cinnamon oil. 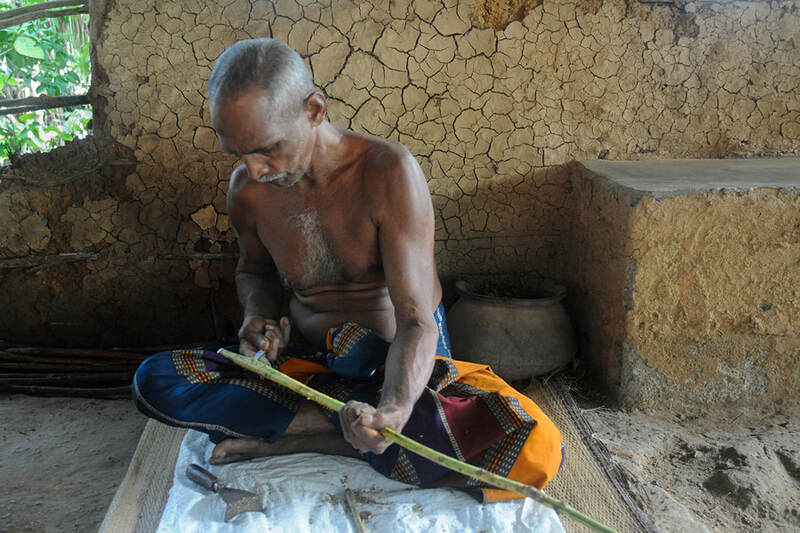 Mr. Premadasa is not the only cinnamon grower in the Madu Ganga area. Actually, cinnamon industry, apart from fishing, is a main source of income for locals. Purchasing cinnamon in a tourist area is not less expensive than in shops. However, you can be sure to take home fresh and high quality cinnamon or cinnamon oil from a place you have visited. And it’s exactly this part of the world where the genuine and very best cinnmon is grown. More than 80 % of Sri Lanka’s cinnamon, which is of unrivalled quality, are from Galle District and the adjacent districts of Matara, Ratnapura and Kalutara, although cinnamon was originally grown wild in the Kandyan hill country. Cinnamon has essential oils in leaves, bark and roots, but the chemical composition of them are completely different from each other. The predominant chemical in the bark oil is Cinnamaldehyde, in the leaf oil it’s Euginol. Madu Ganga is Sri Lanka’s largest natural lake. There are many vaster lakes in Sri Lanka, but they are man-made in ancient and modern times, for irrigation purposes. Madu Ganga Lake measures 5 km from north to south and covers an area of almost 10 square kilometres. However, only 80 percent of this area are open water surfaces. Despite its popular name “32 Islands”, there are in fact 25 islets of varying size, 15 of them have a considerable land mass. Some are inhabited, but most of them are covered with forest and shrubs only. 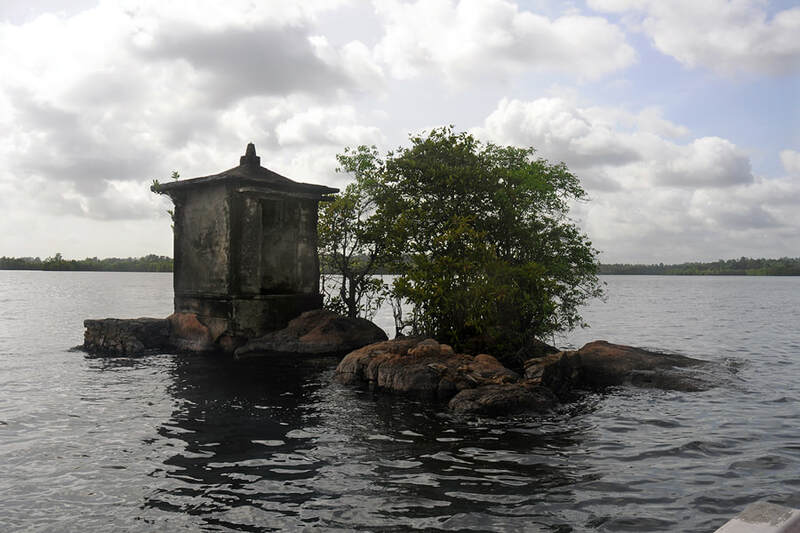 Locals belief that many more islets existed in ancient times, 32 or 64, but some of them were flooded and disappeared. 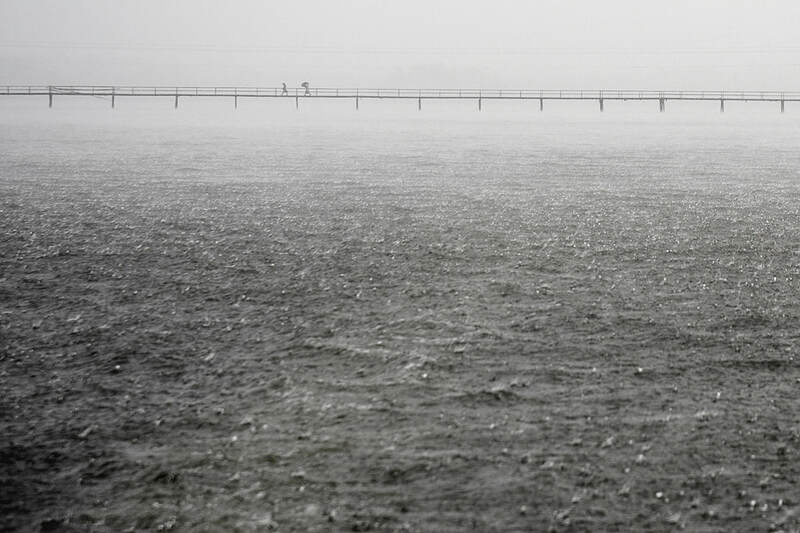 Actually, the lake helps in flood control, by storing water during monsoon rains. When travelling by boat, cormorants are a common sight at the lake, walking along the shores of an island, you have good chances to spot kingfishers, too. Altogether, more than a hundred bird species are identified to inhabit the Madu Ganga Wetland. Ma Doowa alias Ma Duwa is the name of the largest island in the Lake of Madu Ganga. It measures almost one kilometer in diameter. Indeed, it’s the largest island within the country and one of the few that are inhabited. About 300 families live on Ma Doowa. The islet’s main attraction is a bridge spanning 330 m across the lake, connecting Ma Doowa with Balapitiya. Until 2009, before the Kinniya Bridge crossing the Mahweli River mouth near Trincomalee was constructed, the Ma Doowa bridge had been the longest bridge in Sri Lanka. It’s safe for pedestrians and bikes, however, it would be just wide enough to be used by threewheelers. Satha Paha Duwa - smallest of the "32 islands"
The smallest islet in Madu Ganga Lake is called “Satha Paha Doowa”. “Paha” translates to “five”, whereas “Satha” means “cent”. According to local tradition, the islet had once been purchased for five cents. But others say, it got its name due to the shape or small size which resembles just a small coin. Nontheless Fice-Cent-Island is big enough to carry a temple. The shrine is dedicated to Kataragama, a deity revered by Sinhalese Buddhists and Tamil Hindus and Weddah animists alike. In a way, it’s a Devale, a Buddhist shrine for a Hindu deity. Koddhuwa alias Koth Doowa is a Madu Ganga islet big enough to house an entire Vihara with monks’ dells and chambers, image houses and Bo-tree. The Kothduwa Rajamaha Viharaya is said to date back to the earliest times of Buddhism in Sri Lanka. For sure, it already existed in the Kandyan period. But it had to be completely rebuilt in the late 19th century. The reconstruction was initiated by a layman called Samson Rajapakse. In the early 19th century, Madhu Ganga played an important role in the history of Sri Lankan Buddhism, as it was on this lake that the Buddhist order called Amarapura Nikaya came to existence. Already in 1799, a group of novices under the leadership of Walitota Sri Gnanawimalatisssa from Balapitiya had departed for Southeast Asia seeking a new succession of Higher ordination (Upasampada). A first Sinhalese monk was ordained in the capital of Myanmar in 1800. After returning to Sri Lanka in 1803, a huge ceremony introducing a new lineage of ordination from Mandalay (Myanmar) was held on a platform carried by boats, the waters of the Maduganga serving as the mandatory boundary of the place of ordination. 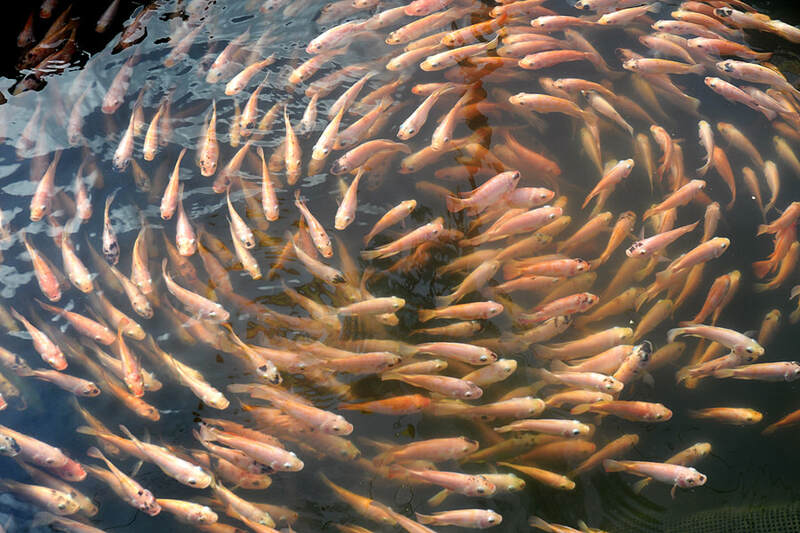 The Madu Ganga Lake provides the breeding ground for many fish species. Pots for catching prawn can be seen in some shallow areas of Madu Ganga. Fisherman use the traditional fishing kraals called “Ja-kotu” in Sinhala. In the evening, they light lanterns on the traps. Boatmen are cautious to lift the motor in order to avoid touching ropes, since in narrow stretches of the river, ropes close to the water surface are meant to slow down motor boats. This helps to reduce waves otherweise resulting in erosion of the riverbanks.